Google has slashed the cost of its cloud monthly storage plans to keep its service and offerings the best available online. 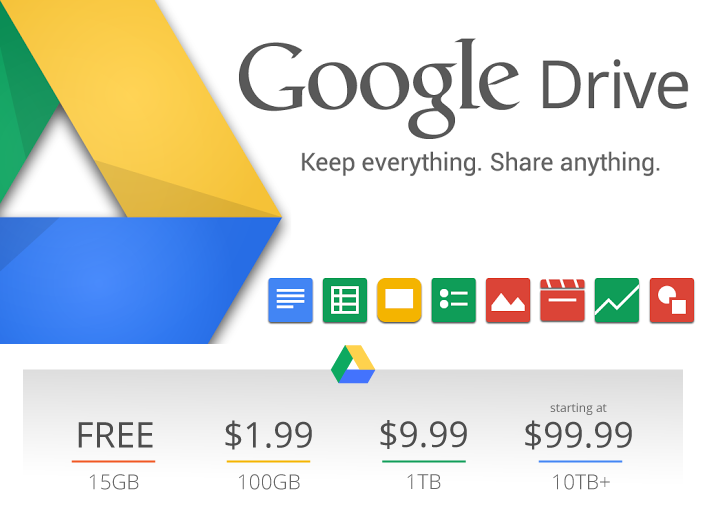 Google's 100GB plan has dropped to $1.99 a month from $4.99, while the 15GB plan remains free. The cost for the one 1TB has been slashed $30 — from $49.99 to $9.99. The 10TB plan will cost $99.99 while 20TB will cost $199.99 and 30 TB $299.99 a month. Google's chief competitors Dropbox and Box have already made a huge numbers of users and the services offered by these two companies are very much appreciable also. Dropbox offers only 2GB of free space and 100GB for $9.99 a month. The most popular plan for business is the unlimited storage for $15 per month per user with five or more users where as Box offers 10GB of free storage,100GB for $5 a month, 1,000GB for $15 and unlimited for $35. Johnston also added that the users who already pay for storage will automatically be moved to a better plan at no additional cost. You can visit Google’s website for more detailed info regarding plans.